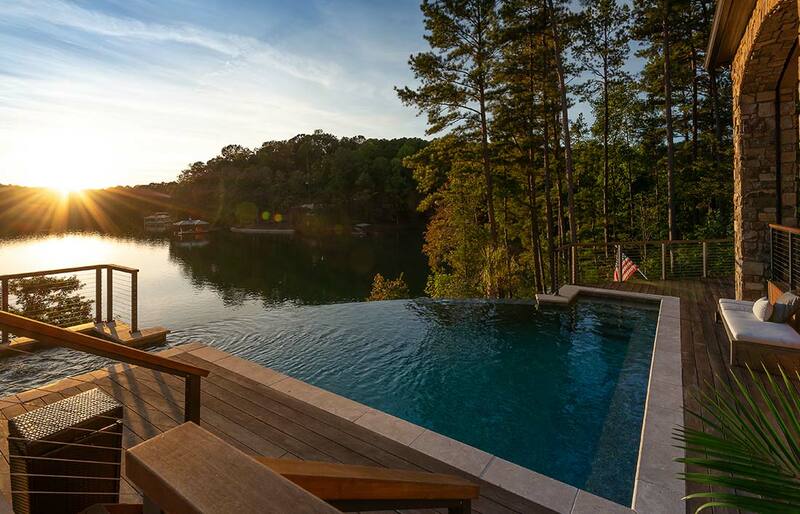 This Private Paradise Overlooks Lake Keowee in South Carolina. This beautiful custom infinity edge swimming pool built by Atlantis Luxury Pools has the illusionary effect of blending with Lake Keowee! A vanishing edge pool virtually disappears as water cascades over the back edge into a catch basin 13 feet down. The backside view consists of stacked travertine stone veneer. The entire pool is surrounded in stunning deck made of Brazilian ironwood.